Pavithra Mohanraj is the Founder of Infinitive Research & Advisory, an early stage start up working with leading businesses to enable transition to a circular model, and providing thought leadership in the circular economy space in India. extensively with local government agencies in Singapore to collect and share data for benchmarking energy consumption and savings at retail malls. 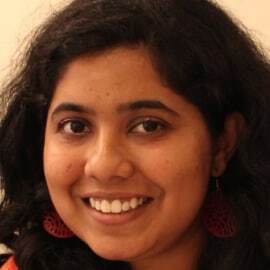 As Principal Consultant for the Sustainability Consulting vertical at Nextgen, Pavithra has worked on sustainability reporting and consulting projects for leading corporates in India and also worked on projects with international agencies on areas like sustainable finance and ecosystem development work around implementation of the CSR Rules (Companies Act 2013). collaborators, and get support, feedback and mentorship. Sustainability Nexus also works in the space of sustainability in education (schools and tertiary institutions) and is embarking on a project to bring together sustainability efforts at the city level. Through Nexus, Pavithra also mentors students, and early and mid-career professionals on developing relevant skills and embarking on careers in sustainability. Pavithra strongly believes that the time for incremental changes is past, and there is strong need for disruption across industries, communities and cities to enable truly sustainable development and that the circular economy model provides a comprehensive framework to guide this. Running two organizations that work with students, professionals, entrepreneurs and businesses on sustainability gives her a unique perspective on areas of intervention for maximum impact.